Homestay.com is an accommodation marketplace that connects guests with live-in hosts who open their homes to all kinds of short, medium or long term guests in London and over 150 countries. Your host can give you the inside scoop on what to do, where to go, the best places to eat and how to get around. Overall, homestay can be a great way to experience the realities of daily life in the new country and practice your language skills on a daily basis with native speakers. However, keep in mind that living in a homestay means that you must respect the rules and expectations set by your hosts. You can choose to stay with someone that shares your interests. 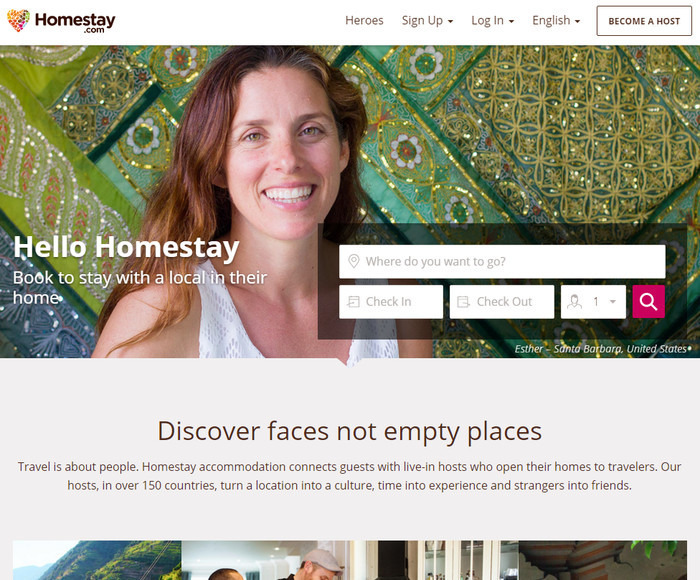 Homestay.com is a great accommodation site that connects guests with live-in hosts who open their homes to travelers. It’s perfect for those looking for an authentic travel experience through a short-term and long-term stay in a local person’s home.